We Translated #RightsCon to Spanish, French and Arabic! How did it go? 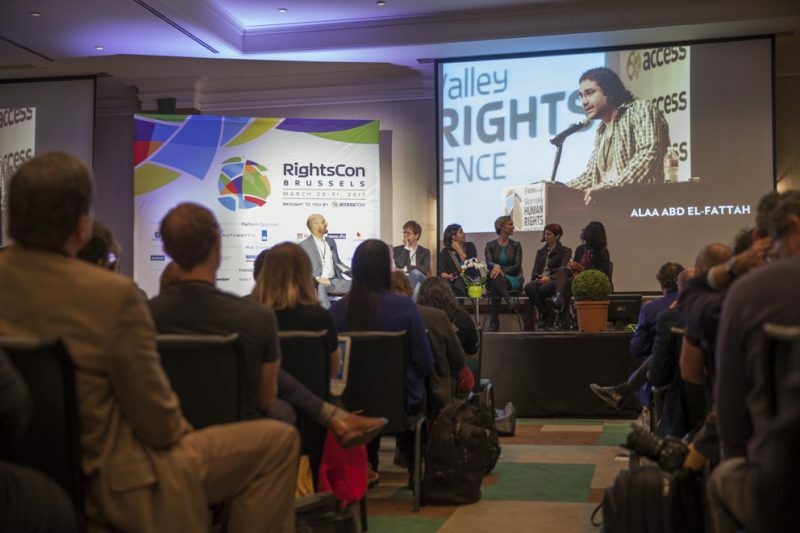 Each year for the past four years, Meedan  has had the pleasure of attending and participating at RightsCon , the world’s largest conference on human rights and technology. Last year, we began an experiment with the Access Now team, who organize RightsCon, and Global Voices Lingua : what if we translated a range of Tweets from the conference to make them more accessible to non-English speaking audiences around the world trying to follow along online? At this year’s RightsCon in Brussels, we were pleased to partner once more with Access and Global Voices Lingua . During the three days of the conference, we had a team of 9 translators using Bridge  to translate tweets from the conference — taking some of the conversations most relevant to Latin America, sub-Saharan Africa, and the Arab world into a language they can easily access. 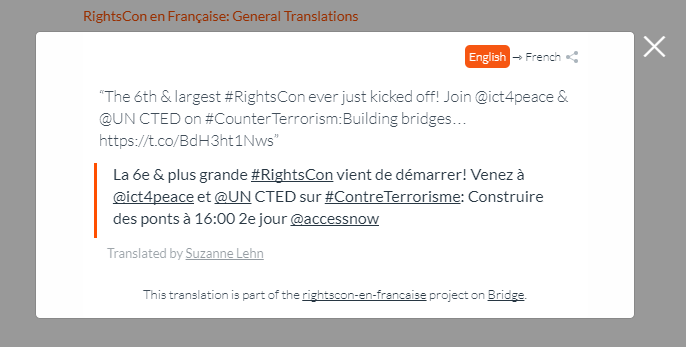 In addition to Spanish  and Arabic , we also translated Tweets to French , given the importance of the language and the fact that RightsCon was hosted in Brussels this year. Volunteer translators dedicated some of their time before the conference to get some training sessions on how to use the application, working with the Meedan team to familiarize themselves with Bridge. 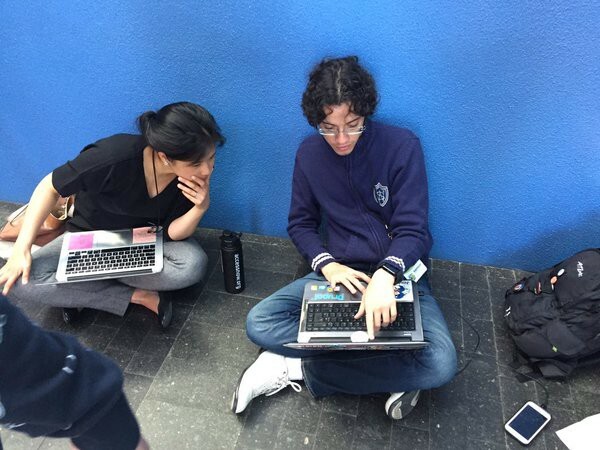 Some of them opted to use the Bridge iOS app from their phones, while others worked using the Bridge Chrome extension from their computers. During the live tweeting of the conference, we translated 127 tweets to Arabic, 568 tweets to French and 286 to Spanish. Some of the translators worked on translating to more than one language. At one point, we ran into a technical issue with the Twitter account posting the French translations, which was stopped. Learning from last year’s experience, we anticipated that something like this could happen, and we contacted Stephen Turner, Twitter’s official representative at RightsCon, about this technical issue, and in less than an hour, the Twitter account was working back normally. Thanks, Stephen! Meedan engineer Caio Almeida talks with RightsCon attendee (and helpful Twitter representative!) Connie Chung as they try to troubleshoot  a technical snag early in the project. I think it was a great experience. It was good to have the chance to try the app in advance, a few days before the event. It was also helpful to have the twitter chat for everybody to be able to coordinate. The app is really good, it makes it very easy to translate the tweets. I think this effort is very important to help information, resources and conversations from this type of events to be available to more people in their languages. Though I do think it is also necessary to spread the word about the translation effort and the twitter accounts that will be posting the translations with other organizations and people how will be participating in the events so they can also share the content in their twitter handles.